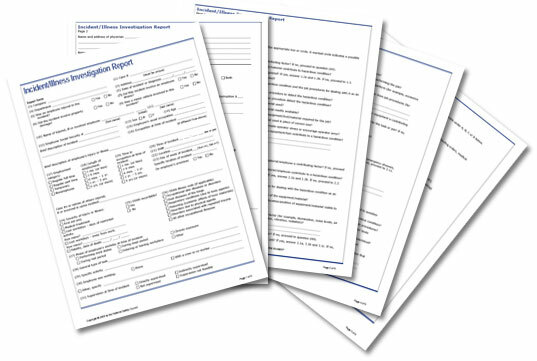 The Incident/Illness Investigation Report form appears on the companion CD for the Small Business Safety and Health Manual. Print as many copies as you like from the PDF file. Download the tool (5-page .pdf file).